Really, I don’t: Other than the 4th Symphony, not much of Johannes’ work has ever struck me. This, however, has made him a perfect foil for my own compositions. ‘Way back in…2012, I went to the first undergraduate Composer’s Kitchen, with the Quatuor Bozzini, in Vancouver. 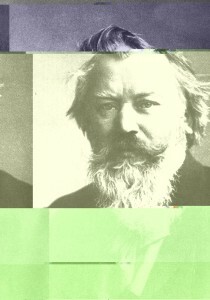 We were supposed to bring a piece and two exercises, and one of my exercises was a glitch art thing that used text from Brahms’ Wikipedia page to destroy images of the composer himself. 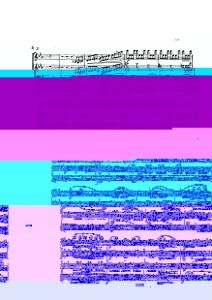 The quartet was then supposed to play a Brahms piece, from memory, and make mistakes to match the images. You can see an example above. 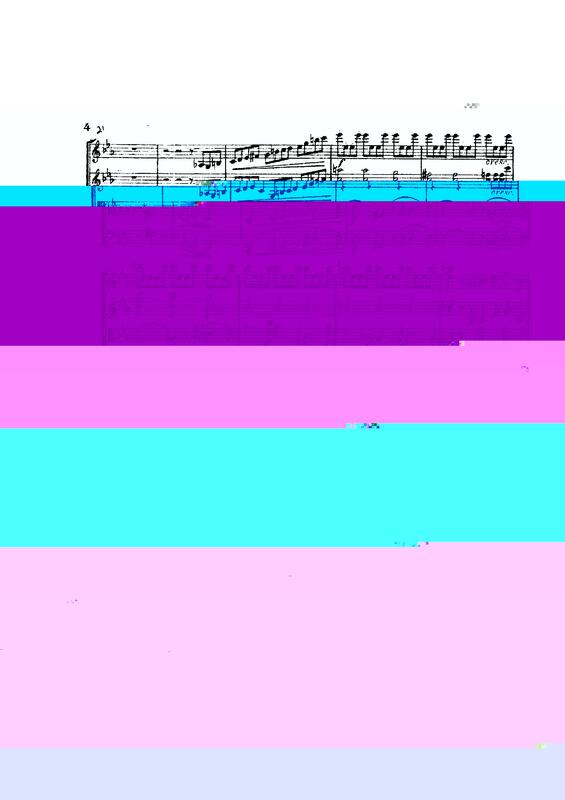 …I don’t know if that is any easier to play, but it sure does have more notes on the page. A quartet (the source material is Brahms’ String Quartet No. 1) could play it “normally”, or by colour, or a soloist could take every line, top to bottom. The colours could also be ignored, or used to influence timbre – these choices are up to the player. The entire score, as a PDF, can be found here. The script that does the glitching (in Python 2.7) is here, and there’s an example of input and output in the same folder.